So ELF had a little sale a few days ago. I'm all for a good sale, so I picked up a few things. 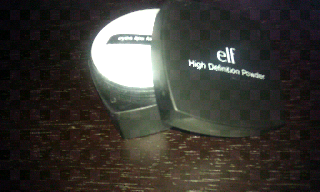 I like ELF because they are extremely affordable and most of the products aren't half bad. I have a few ELF foundation brushes and have tried their lashes which are very good quality considering the price. Everyone needs a little ELF in their kit. I have not tried their makeup though, and when I saw this palette I had to at least try it. 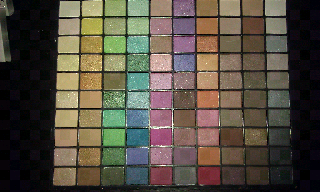 I have tried those palettes that we see everywhere that are not very good. People rave about them because of how pigmented they are and how many colors you get, but in reality they are extremely powdery and wear off very quickly. I grabbed this one thinking, "hey, it couldn't be any worse." I am very happy with this purchase. Many of the reviews say that quite a few of the shadows have no pay off and I swatched as many as I could trying to find one that looked like it would be crap. I have to say that I did not find one that was not good! They all swatched very well and that Red! OMG! There is never a good red on these types of palettes but this one takes the cake! It's awesome! Vibrant and a true red! I am very pleased so far. 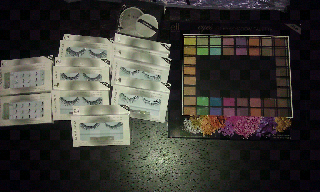 I also grabbed a few lashes and some HD powder. I can honestly say I do not feel the difference between this and the MUFE HD powder. All in all, I'm going to have to grab a few more things from ELF very soon and I hope you do too! This entire package came up to less than $30!!! You can't beat that!! Crochet Braids - Pic Heavy! Major Change in Blog Layout & Website! Copyright 2012. Picture Window theme. Powered by Blogger.